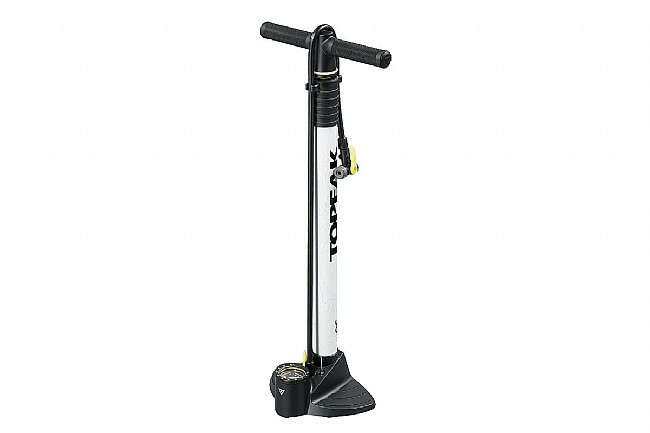 The JoeBlow Fat - Fat Bike Floor Pump is uniquely suited for fat bike tires. Its oversized barrel generates major air volume, filling bigger tires faster. The TwinHead™ pressure gauge works on Presta, Schrader, and Dunlop valves. To fine-tune PSI / Bar, simply press the air release button located on the pump's extra-long hose. The JoeBlow Fat is also equipped with ball and bladder needles so it's not just for inflating bike tires. Composite base & painted steel barrel. 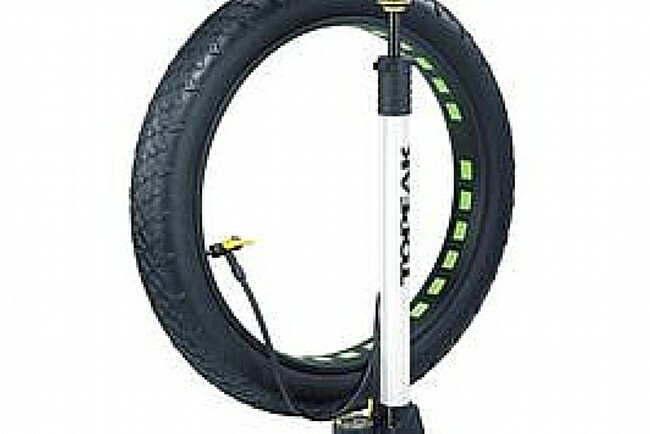 Inflates up to 30 psi / 2 bar. Works with Presta / Schrader / Dunlop valves. Dimensions: 27.1” x 9.1” x 6.7”.